Here at Richmond, we’re committed to making our education affordable for talented students no matter their background. In fact, it’s one of the aspects of the University that makes us extremely proud to be Spiders. We’re frequently recognized nationally for this kind of dedication to our students, and just recently we came in at No. 4 for diversity and affordability by the Association for the Advancement of Sustainability in Higher Education's 2018 Sustainable Campus Index. 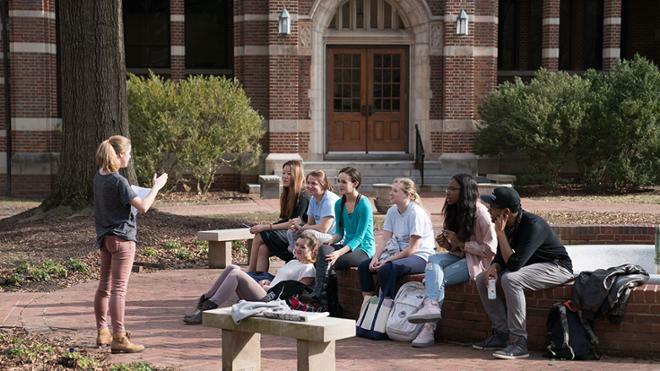 The AASHE is a national sustainability organization that highlights top-performing universities and colleges for not only eco-friendly practices, but also the overall health and well-being of students, faculty and staff on campus. We are proud to be recognized yet again for not only our inclusive community, but for being a leader in affordability initiatives!